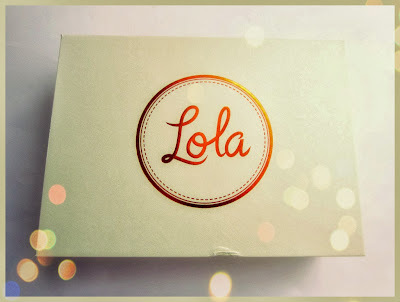 And to my surprise, I received a note from Lola inside the box, mentioning they're sorry for the late shipment of my box and therefore they also include a little something extra as a bonus for my box. Talk about special service! Oh wow. Thank you so much Lola! 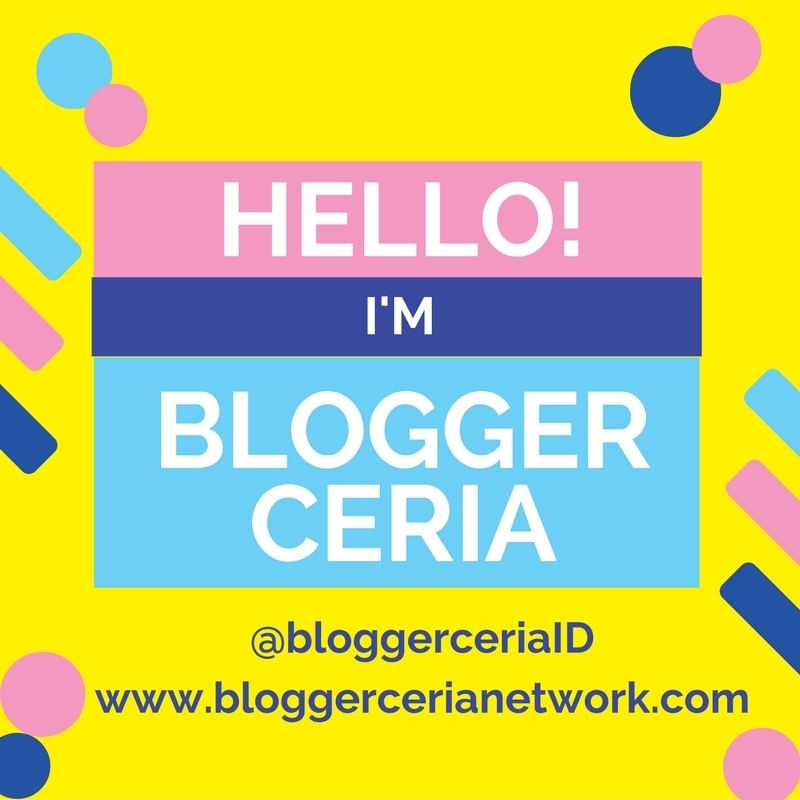 Every month Lolabox always have different box designs, and this time the box was in a muted-green color which is a very nice pastel color. 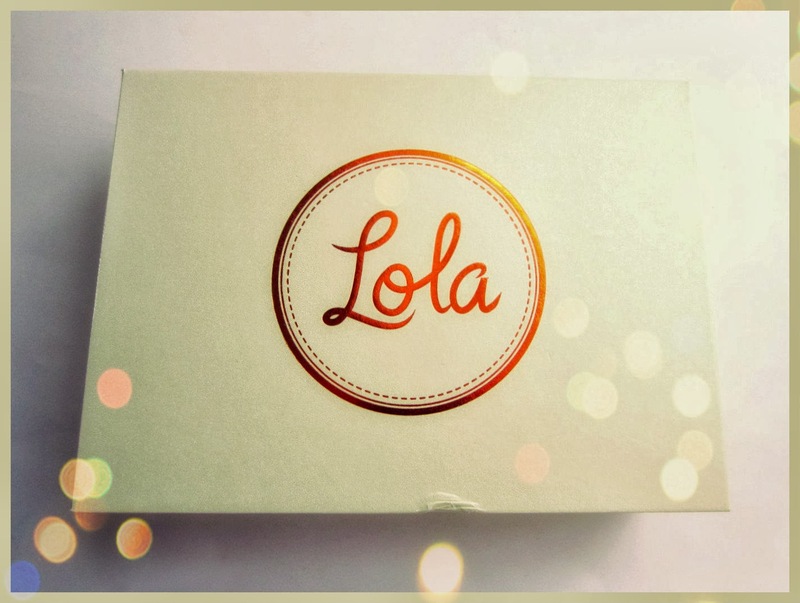 The orange Lola logo adorn the center of the box lid. Now let's see what I got this time, shall we? 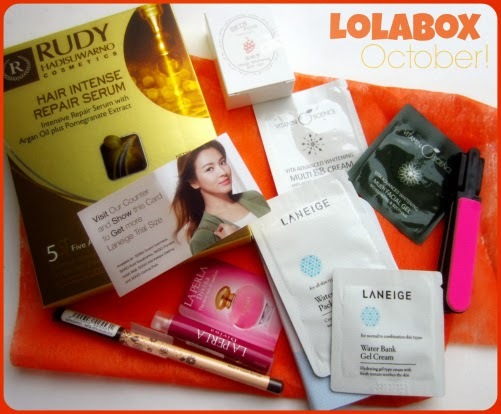 The real size products in this box are the Rudy Hadisuwarno Hair Intense Repair Serum box set which contains 6 vials of the serum, and also the Elianto Ultra-Define Eyebrow Pencil. 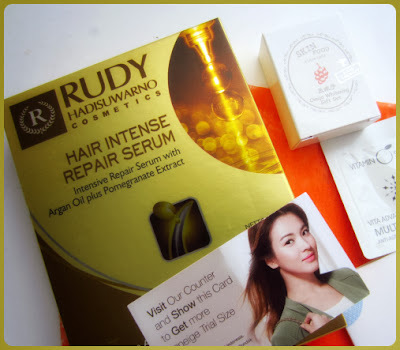 I already have the Rudy Hadisuwarno Hair Intense Repair Serum and been currently using and loving it because it brings great results for my hair. Making it smoother and shinier, and adds a little bit of sweet scents to my hair too. 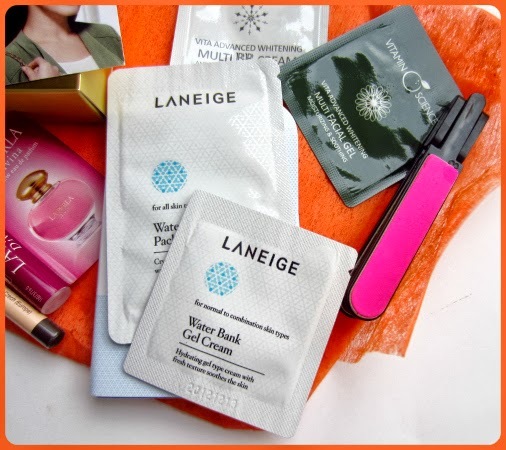 I even put this amazing product in my Monthly Favorites post last July! So I won't mind an extra box of this product because I can use it as a stock, yay! The Elianto Eyebrow Pencil is the item I was most excited about, because this is a new brand that has just recently came to Indonesia, and it couldn't have come at the more perfect timing because I am currently in need of a new eyebrow pencil!! My current VIVA eyebrow pencil is getting shorter now so I need a new brow pencil, and I was so delighted to see this brow pencil from Elianto in my box, what a great coincidence! I got mine in the color dark brown which is pretty much a neutral color for eyebrows. This eyebrow pencil has fine and precise lining on dry or moist skin and it even has color that pays-off. The fragrance opens with euphoric fusion of Calabrian mandarin, pear, strawberries and champagne, which gives a touch of glamour to the composition. The heart is a vibrant bouquet made from fresh orange blossoms, roses and jasmine. 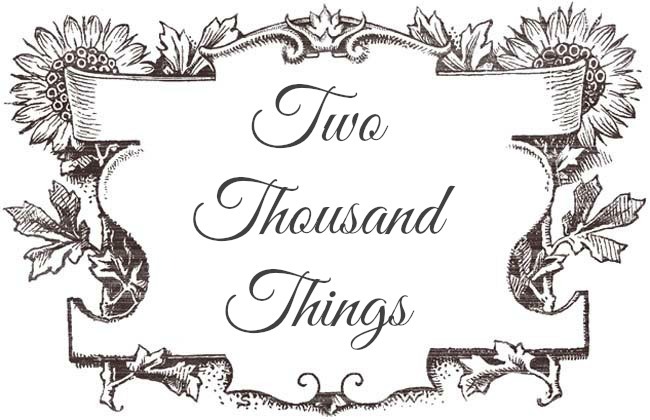 The base notes are warm and captivating due to the vanilla, ambergris, blonde woods bark and crystal musk. This intensive treatment serum works optimally and provides vitamins and nutrients for your hair. It protects your hair before and after chemical and heat process. It makes your hair feel soft, shiny, and manageable. A whitening range from the Korean brand SkinFood. Consisting of Omija Whitening Emulsion and Omija Whitening Tea Toner. A sample pack that gives intensive hydration, vitality and brightening effect during sleep. A hydrating gel type cream that supplies moisture and soothes the skin with a non-sticky, refreshing texture. 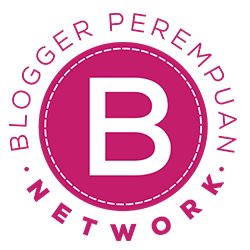 This whitening BB Cream contains phytoncide to treat and calm irritated skin while enhancing the skin's appearance and protecting against aging and pollutants. The magic of the VITA Advanced Whitening Multi Facial Gel is revealed in its ability to provide the skin with multiple benefits. This refreshing and smoothly textured multi-functional gel enhances whitening, moisturizes, calms and relieves irritated skin. Increases the skin's absorption level. 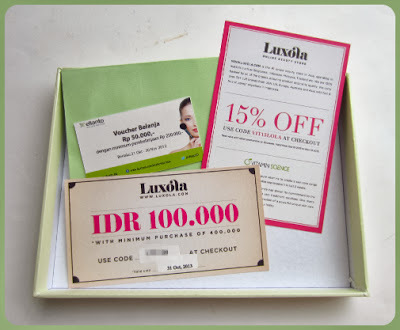 I also received some vouchers inside the box, from Luxola and Elianto (both with minimum purchase). So far I have only tried the Elianto eyebrow pencil and sniffed the La Perla perfume. The perfume smells very nice, quite a warming floral scent, the type of sweetly sophisticated scent that would not come on strong. In fact, it is quite subdued so I think it's perfect for day/morning use because I don't think it's strong enough for night use (imho). 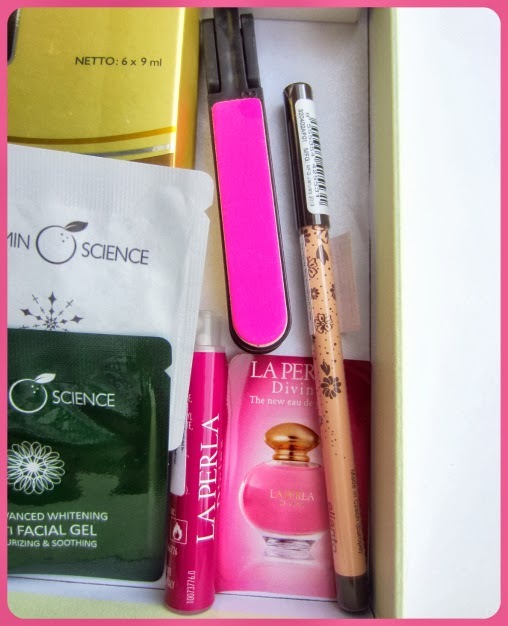 To see my previous Lolabox (August box), click HERE. This box looks really nice! I love seeing boxes that we can't get here in the US. I tried some SkinFood samples for the first time last week and I loved them!